The globe’s greatest competition is about to kick off, and for a whole month, die-hard and casual fans alike will cast their eyes on Russia for the soccer extravaganza known as the 2018 World Cup. Many of us will watch the games at home, but an estimated one million fans are expected to descend on Russia to watch the action live and in the flesh. If you’re one of the lucky few heading over to see what might be Messi and Ronaldo’s swan song on the international stage, I am incredibly jealous! You’re sure to have a fantastic time. But while security is paramount around the World Cup, and Putin is likely to be on his best behavior with the world watching, it’s still worth making a few travel preparations to ensure you stay safe in Russia. 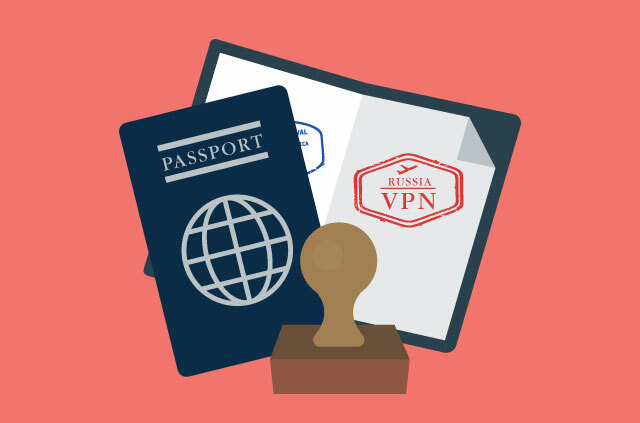 ExpressVPN has put together a list of tips that will keep you safe, and connected, in Russia during the World Cup. Surprise! The VPN company recommends a VPN. But in all seriousness, Russia is known for its strict internet policy, and a VPN will help you stay in contact back home. A VPN is essential to ensure you maintain access to your email, Facebook, Twitter, etc., so that you can keep the folks at home up to date on your travels. ExpressVPN is the perfect VPN for World Cup visitors. You can install and use it on any of your devices, and with servers in more than 90 countries and 99.9% uptime, you can worry about more important things—like how the hell did Messi do that? But it’s not just internet access that makes a VPN a must in Russia. More important, a Kaspersky Labs review of public Wi-Fi hotspots in the 11 host cities for the World Cup (Saransk, Samara, Nizhny Novgorod, Kazan, Volgograd, Moscow, Ekaterinburg, Sochi, Rostov, Kaliningrad, and St. Petersburg) turned up some nasty surprises. Kaspersky Labs connected to 32,000 public Wi-Fi connections in Russia and found that at least 22.4%—and possibly as much as 35.9%—of Russian Wi-Fi provided no protection at all. This much unsecured data flying around is an attacker’s golden goose. Naturally, ExpressVPN can help you keep your delicious data-eggs safe. While it’s a dream come true to visit the World Cup live, you won’t have access to all the latest games, stats, and scores available to the armchair fans back home. That is, unless you have a VPN! From the first match on Thursday, June 14, where Russia will take on Saudi Arabia, to the final on July 15 in Luzhniki Stadium in Moscow, a VPN will ensure you don’t miss a beat. No one knows for sure how limited Russian local internet access will be, but ExpressVPN’s World Cup streaming guide will help you stay on top of all the latest World Cup matches, from wherever you are! It’s well known that ISPs and governments will spy on your internet browsing. Perhaps you think you have nothing to hide in your own country, but it’s worth taking extra steps to stay private while abroad. What may be perfectly OK at home might be frowned upon overseas. It makes sense to cover your tracks and browse anonymously. ExpressVPN needs no hardware, other than the device you already surf the internet on. Which means there’s no need for a travel router, leaving you more luggage space to carry around a comedy giant finger and beer. Also, when you’re out and about in the big, wild world of soccer, ExpressVPN’s 24/7 live support means you’ll never get stuck without a secure connection. Consider a VPN a personal World Cup experience in your pocket. You can tap into it anytime for reassurance of a full and secure internet connection, and keep on top of all the latest scores and highlights. It’s also a great way to keep your data safe and away from any prying eyes. The No. 1 tip for the World Cup, though, is to have a great time!